With AutoCAD Professionals typically earning £20 to £30 per hour in South-East England, it is no surprise many people would like to develop AutoCAD skills. While AutoCAD manuals are extremely useful for reference purposes, it is difficult as a beginner to know where to begin. Many potential users begin by studying a 2 inch thick manual, and soon give up having been overwhelmed with the vastness of the subject matter. 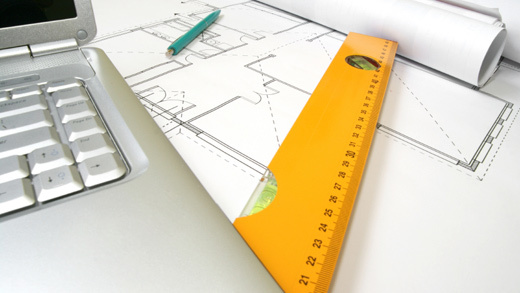 Our approach to AutoCAD tutoring is very simple. The major components of a drawing are: Lines, Arcs / Circles, Hatches and Annotation. Each area is covered in various topics - command at a time, gradually building confidence and knowledge of basic AutoCAD operation. Knowledge of some 20% to 30% of AutoCAD features is sufficient for proficient 2D drawing creation - it is this 20% to 30% we cover during our tutoring course. Call us today for a free, no obligation quotation!